Some of my favourite labels of all time. Classic. 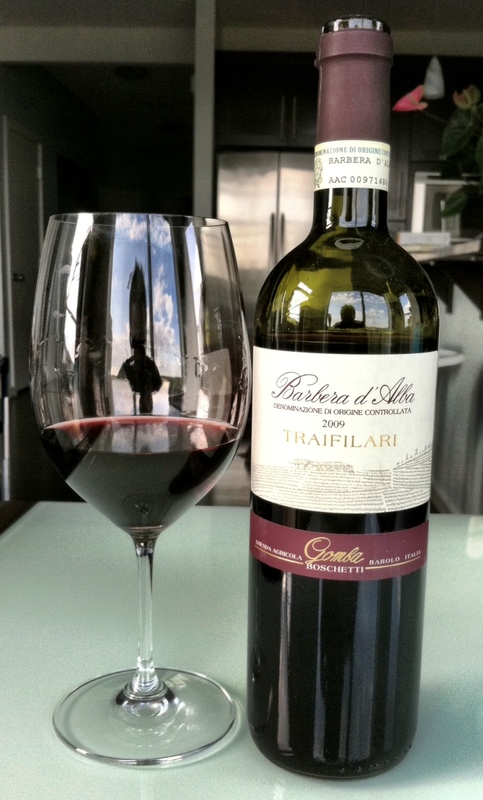 If there’s anything better than a good bottle of wine, it’s a good bottle of wine that you got on sale. While this particular bottle usually retails for around $50, I was lucky enough to grab it on special for a shade under $30, which made me ultra-excited to open it and greatly reduced my chances of being disappointed with what was inside. Not that there was much of a chance of that, given who made it. Not to reinforce any improper stereotypes, but I totally dig the Mafia lighting in this photo. Well, another week, another lone post on Pop & Pour — there’s no doubt that my brief foray back into academics has taken its toll on my blogging productivity. Thankfully, my WSET Advanced exam is this Sunday, after which my writing schedule will get back to normal (provided I haven’t given up on wine entirely by then, something I might just do if I have to read my textbook one more time). After two weekends of boot-camp-esque Advanced training and 30+ hours of class time logged, we’ve tasted and evaluated close to 80 wines and covered off every major world wine region except Spain and Portugal (which are coming up this Saturday), as a result of which everyone’s brain is in varying degrees of pain. My head is so WSET-laden that I have random wine words like Trincadeira (Portuguese grape variety) and bocksbeutel (odd-shaped wine bottle used in Franken, Germany) floating around the edges of my consciousness at night as I’m trying to go to sleep, and I can’t pour a straightforward glass of vino with dinner without mulling over whether it has a medium or medium-plus body or a ruby-with-some-garnet or garnet-with-some-ruby appearance. Tonight I poured one of my favourite kinds of inexpensive wine, Barbera d’Alba from northwest Italy, and even though I was fairly familiar with the grape and the region, I still felt compelled to dive into my text to find out what my new vinous Bible had to say about them. Long time no PnP! One consequence of drinking almost 50 wines over 16 hours in 2 days is that it doesn’t necessarily make you want to come home and WRITE about wine. Two thirds of my Intermediate WSET class is now in the books, with the last day and the exam next Saturday, and after a day off yesterday my palate’s rested up and I’m ready to get back in the saddle. 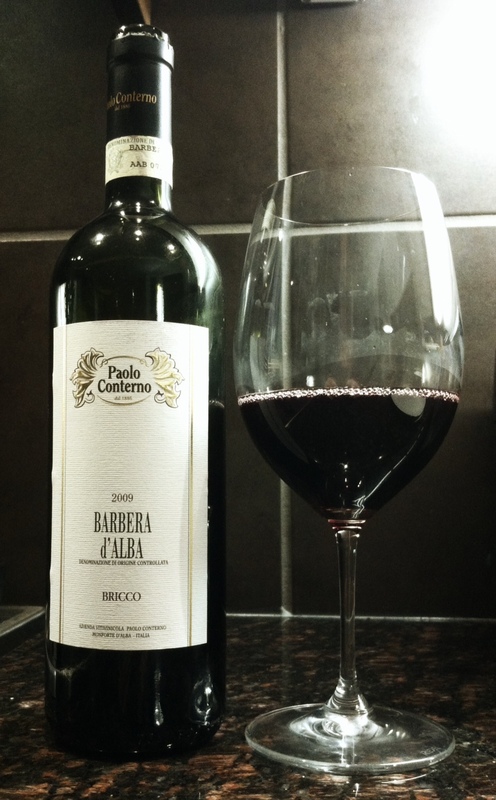 I will admit that Barbera doesn't often shine in the label category. Marketing minds have to be able to do better than this.